The historic town of Siddhpur is like an ageing queen living in denial. Lining the streets are colourful, grand mansions and tiered havelis that look distinctly European, most of them now shuttered and falling to decay. For the most part, the dusty streets are empty and the occasional resident puts in a cameo when you least expect it. 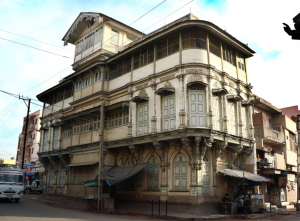 Situated 103 km from Ahmedabad, Siddhpur is a unique legacy of the Dawoodi Bohra community, in Patan, in North Gujarat. 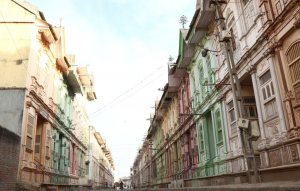 Till a few decades ago, the town was opulent, rich and throbbing with life, its jaw-dropping mansions making up beautiful vohrawads (neighbourhoods). But with the largely trading community leaving home and hearth, looking for greener pastures, Siddhpur appears to be locked in a losing battle with time. The town’s history dates back to the 10th century CE, when it reached its zenith under the Solanki rulers of Gujarat. It takes its name from the Great ruler, Siddhraj Jaisingh, who built his capital here. In those times, the Dawoodi Bohras and people from other communities who lived here were probably farmers and traders who had settled in Old Siddhpur (now Hasanpura) on the banks of the Saraswati river (also known as Kuwari Nadi). 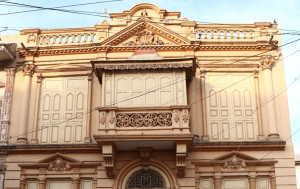 If you’ve visited Siddhpur and seen the astonishing mansions that still comprise much of the town, you might find it hard to believe that till the late 19th century, the homes of the residents were modest, even small and basic. They were known as Ek Khun Ghar, which means one single room and a courtyard, enough to accommodate a charpoy, a chakki and basic necessities. Nature has a strange way of forcing chance and, in the early 20th century, during the era of the community’s religious leader, Syedna Abdullah Badruddin RA, Gujarat was struck by famine. The Dawoodi Bohras of Siddhpur were advised by the Syedna to leave their hometown, a decision that saw the community set down roots far and wide in search of trading opportunities. Many travelled to cities in India and overseas (being part of the British regime helped), to places like Aden, Rangoon, Djibouti and Addis Ababa, where they flourished. It wasn’t long before the Dawoodi Bohras became spectacularly rich and built massive mansions and havelis back home in Siddhpur. But these weren’t just large mansions. Impressed with what they had seen overseas, they created a slice of Europe in their native Gujarat. They built colossal havelis in the delicate and artistic fusion of French and Italian architecture. Bathed in Mediterranean hues such as salmon pink, beice, greens and blues, their enormous mansions reflected Neo-Classical and even Art Nouveau architecture characterized by geometric designs embellished ornate pilasters, gabled roofs and stuccoed facades. They spared no expense and their majestic homes boasted multiple windows, the row houses split into three levels, including a cool basement to combat the desert heat. 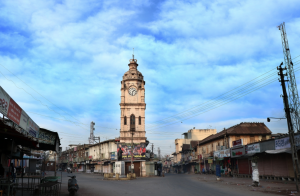 As a community, the Dawoodi Bohras also built schools, colleges, hospitals, a nagar palika house and a tower – known as Mohammedali Tower – benefiting not just the Dawoodi Bohras but all the communities that lived there. My father, aged 82, often shares tidbits of his life in Siddhpur, reminiscing fondly about his carefree childhood. His memories include roaming the sandy streets of the mohallas on sultry summer days. He recalls playing volleyball and gilli danda, and buying sticky sweet candy twirled on a stick for one paisa, flying kites till the sun turned scarlet, and jumping into wells with petticoats to help the kids stay afloat. Among his favourite memories are escapades on which he and the other kids plucked gooseberries from the community garden, chased birds from terraces laden with freshly made papad, and ran at top speed to the railway station to gawk at a train pulling in. Those were carefree times, when television, movies and round-the-clock electricity were still only dreams and academics were more a pastime than an occupation. The streets of Siddhpur were filled with simplicity and there was an overarching feeling of community. The enterprising Bohri men, who were traders, would take their wares all over India and abroad, from Mohammedi Seth who was famous in Addis Ababa to the Goolamali brothers in then Madras. With their husbands away on business, the women spent an inordinate amount of time with only their children for company, often for 6-8 months at a time. Of course, they relied on each other and were often found making papads, masalas and pickles together. They were a rich lot and revelled in luxuries like having cooks and house help. It was a town that did pretty much everything together, a trait that also makes the women of this town strong. ‘Homecoming,’ when the man of the house returned from business trips, was something of an event in those days. Women would peek from their jharokas (verandahs) as the tanga pulled up laden with provisions to last months and fabrics for the family to stitch new clothes. The kids, in one big gaggle, would scamper alongside the tangs in excitement, irrespective of whose father it was. Those were glorious times, when homes were filled with the aroma of freshly cooked food and laughter, where the families were joint and their kitchens were single, where butter was a luxury and everything was rationed, where mothers were strict disciplinarians and fathers spent time with their families for just two months a year. As with everything, urbanisation has taken a toll on Siddhpur, and this once lavish town is now dressed in desolation rather than opulence. The paint is peeling and the past is quickly fading as nature takes over. Later generations moved to cities for better education and economic opportunities, surrendering their havelis to the vagaries of time. Naturally, preserving this heritage precinct is a huge challenge. 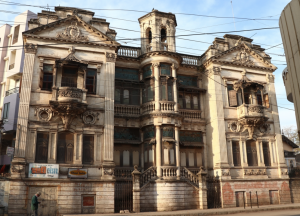 Some mansions have already been pulled down by builders, their beautiful and artistic furniture, pillars, doors and windows made of Burma teak and ornate fittings ripped off and sold for handsome profits. Is it too late? A small and dedicated group of people passionate about restoring Siddhpur to its Glory days are making an all-out attempt to preserve their heritage. We have joined them through our recently launched non-profit called Save Siddhpur Heritage. Just as an entire community once came together to weave their families and homes into a rich tapestry, perhaps a collective endeavour to save it will bring the story full circle. Alifiya Shabbir and Abuzar N Zakir are natives of Siddhpur now based in Bengaluru and Mumbai. They are making an attempt through these beautiful photographs to capture these historical legends, each with a fascinating story. 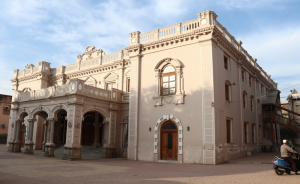 They have also launched an NGO called Save Siddhpur Heritage to preserve the unique legacy of the Dawoodi Bohra community in Siddhpur.